Magical Dining may be over for another year, but there are still plenty of delicious food-centric events for Central Florida foodies. In fact there are so many, you may want to grab a snack while you read through this list. This annual event features seminars and workshops, fine dining events, appearances by top celebrity chefs, a free concert series, and bites and sips from 30+ regions around the globe. Samples are $4 and up. Park admission required. Visit Disneyworld.com for more info, or read our preview of this year’s event. Sit down to a 5-course gourmet meal paired with the chef’s own impeccable selection of Italian wines and craft beer. Park admission also required. Visit the event’s ticket page for more information. Gather in a rustic wine cellar as Italy’s finest food and drink are paired in perfect harmony. Savor a spectacular 5-course meal of epicurean delights—all served with select wines chosen for their distinct yet complementary flavors. Park admission also required. Visit the event’s ticket page for more information. Guests will be treated to expertly prepared gourmet cuisine that showcases the unique flavors of Morocco, the Mediterranean and beyond. Paired with the perfect wine, each delicious meat and seafood dish embodies the cultural diversity and spirit of this region. Park admission also required. Visit the event’s ticket page for more information. This pairing starts at 7 PM and includes four of our 5 oz. organic beers perfectly paired with four local handcrafted desserts by CAYCAKES BAKERY. Visit OrlandoBrewing.com for more info. Guests will dine on 3 traditional courses perfectly paired with sake and other thirst-quenching libations. The authentic menu exemplifies a seamless fusion of harmony, culture and culinary art—including Wagyu beef, lobster tail, and Blue Fin sushi. Park admission also required. Visit the event’s ticket page for more information. The Come OUT St Pete Taste of Grand Central will be a progressive dining experience of 45 minutes stops at several Grand Central restaurants. Cost includes a small plate and a sample size cocktail at each stop. Visit the event’s Facebook page for more info. Enjoy unlimited samples from some of the area’s restaurants. Visit the event’s ticket page for more info. Enjoy pairings of wine and chocolate. Visit the event’s Facebook page for more info. Free event. Meet the chefs, sample some food and beverage pairings from their upcoming Featured classes, and discover all that the cooking school has to offer. Visit Publix.com for more information. Quantum Leap Winery (Orlando) – Wine, Cheese, and Chocolate: Perfectly Paired! Learn by doing– taste and experience how wine and food interact through the thoughtful pairings of 5 wines, 4 cheeses, and 4 Peterbrooke Chocolatier of Winter Park chocolate confections. Visit the event’s ticket page for more info. The Wine Room on Park Avenue is very fortunate to have Maitre Fromagier, pioneering cheese educator, and internationally recognized author, Max McCalman, as well as specialty food expert and Cheese Monger Invitational Champion, Matt Reilly. Together they will explore a collection of edible artisan Americana, while imbibing in some of the finest wines, beers and meads that these regions have to offer. Visit the event’s Facebook page for more info. As you indulge in the authentic aromas and gourmet ingredients of a 4-course Mexican meal, you’re invited to celebrate your senses as you sample from a diverse range of tequila and mezcal selections—each carefully chosen to complement the spices found in these unique, regionally themed dishes. Park admission also required. Visit the event’s ticket page for more information. If you’re looking for an authentic Oktoberfest, this is it. Enjoy the Biergarten where you will find fabulous German food, plenty of Hofbrau Beer on tap, schunkeling, toasting to Ein Prosit, and live musical entertainment by top-name German bands. Visit the event’s ticket page for more info. Chef Hari will prepare an Oktoberfest inspired meal filled with a number of favorites using high quality locally sourced meats. Two glasses of wine OR German Beer to complement the food are included. There are two seatings. Visit the event’s ticket page for more info. As the chefs at Monsieur Paul share their treasured family recipes, guests will experience a culinary adventure that’s deliciously nostalgic. Each dish is created with traditional Le Creuset cast iron pots for a rustic, family-style meal, and masterfully paired with the perfect wines Park admission also required. Visit the event’s ticket page for more information. Enjoy a 5-course meal with MIA Beer pairings. Complimentary valet and self-parking is included. Visit the event’s ticket page for more info. Jake’s Beer Festival happens only twice each year and features more than 50 local and regional specialty craft beers, food from the resort, live entertainment and more. The event takes place under the hotel’s outdoor Wantilan Pavilion. Visit the event’s ticket page for more info. From 11am-2pm, this new Latin eatery on Curry Ford Rd will be offering a free espresso if you purchase any pastries. Visit the event’s page for more information. Chef Hari will prepare a Low Counry-inspired meal featuring Carolina BBQ, shrimp and grits, and more. Proceeds from the event will be donated as cash to the “The Food Bank of Central & Eastern North Carolina”Visit the event’s ticket page for more info. Start the day with fresh-baked goodness, from baguettes and croissants to patisserie-perfect pain au chocolat. Guests are invited to sip cappuccino, hot chocolate or French sparkling mimosas all while indulging in an authentic Parisian breakfast buffet. Park admission also required. Visit the event’s ticket page for more information. Epcot (Walt Disney World) – The Parisian Afternoon, Sandwiches, Macarons and Bubbles! Take a respite from your Epcot adventures to relax, sip unlimited mimosas and nibble a magnifique medley of treats. From finger sandwiches and savory mignardises to melt-in-your-mouth macarons and an assortment of delicate petit fours, both foodies and Francophiles alike will feel as if they’ve been whisked away to a dreamy bistro along la Rive Gauche. Park admission also required. Visit the event’s ticket page for more information. There will be giveaways, and more, at this new smoothie bowl eatery. Visit the event’s Facebook page for more info. Enjoy a 5-course all-vegan dinner and beer pairing. Visit the event’s ticket page for more info. Admission is free. Enjoy live music, Latin food for purchase, and much more. Visit the event’s Facebook page for more info. Learn how to craft a classic cocktail, a Luke’s cocktail, and one of your own.. This class will feature the MAKER’s FAMILY. Visit the event’s Facebook page for more info. Free event. From noon-2pm, learn from the master chef Dana Herbert as he shares stories, best kept culinary secrets while serving up some delicious brunch dishes for you to try. With any purchase of $35 or more in the Home department, receive a copy of Chef Dana’s cookbook Sweet & Savory Union which he’ll sign for you after the demo, and a Margarita or Bloody Mary cocktail mix and a Lime Infused Salt Rimmer to go with it. RSVP for this event and receive a $10 Macy’s gift card when you check into the event. Join Orlando Brewing and Smoke in the City BBQ as they roast a whole pig to serve to you. Menu includes pull pork, Caribbean Coleslaw, Baked Beans and rolls. They will also have beer flights for tastings. Visit OrlandoBrewing.com for more info. Chef Brandon McGlamery hosts a five course paired wine dinner, featuring Premier and Grand Cru Chardonnays and Pinot Noirs from one of Burgundy’s most notable houses, Maison Albert Bichot. Visit the event’s Facebook page for more information. Enjoy a complimentary champagne tasting with Master Sommelier George Miliotes and Ruinart Ambassador Jeridian Frye alongside cheese and charcuterie. A free ticket is required. Visit the event’s ticket page for more information. Executive Chef Stuart Whitfield has created a four-course dessert menu, exquisitely paired with champagnes of the renowned Domain Laurent Perrier, one of the world’s most esteemed champagne brands for over 200 years. Visit the event’s ticket page for more information. Enjoy this wine experience and discussion lead by their Sommelier team. Includes wine samples and light bites. Visit the event’s Facebook page for more info. The Bacon Cutting Ceremony will take place at 11am to officially open the store. Enjoy samples of the brand’s smoked-in-house bacon. They’ll also be presenting $10,000 in Impact Grants to some amazing nonprofit partners. Visit the event’s Facebook page for more info. The Bacon Cutting Ceremony will take place at 9am to officially open the store. Enjoy samples of the brand’s smoked-in-house bacon. They’ll also be presenting $7500 in Impact Grants to some amazing nonprofit partners. Visit the event’s Facebook page for more info. Enjoy food, craft beer, wine, specialty cocktails, soda/water, & desserts from more than 35 restaurants, plus live music both inside & outside. Visit the event’s ticket page for more info. Enjoy a five-course meal prepared by Capa Chef Gabriel Massip and Executive Pastry Chef Rabii Saber. Each course will feature a wine pairing from Heitz Cellar in St. Helena, California. Visit the event’s Facebook page for more info. Chef Hari will prepare a diverse, multi-course meal dotted with Cajun & Creole classics. Two glasses of wine to complement the food are included. There are two seatings. Visit the event’s ticket page for more info. Doors open at 11am for this new eatery serving up traditional and specialty Italian cuisine. Visit the event’s Facebook page for more information. Enjoy select wines and sparkling wines and expertly prepared gourmet foods from each of the hotel’s restaurants. Visit each wine and food station as often as you like throughout the evening. Plus enjoy live music by Sweet Talkers and dancing. Visit the event’s ticket page for more info. Free admission and parking. Featuring authentic German food like Sauerbraten, Jägerschnitzel, Bratwurst, Bavarian pretzels and more, and of course real imported German beer, wine and Schnapps. Visit the event’s Facebook page for more info. They’ve invited five of the nation’s top BBQ Rib Competitors from all around the country to compete in an epic battle for the top spot as the Lakeridge Winery “Rib Champion”. There will also be a free winery tour & tasting, plus your favorite Lakeridge wines, cold beer, ice cream, and a variety of other tasty treats available for purchase. Visit LakeridgeWinery.com for more info or to purchase tickets. The festival features live Serbian music, excellent folklore mini concerts as well as great Serbian food for purchase. Visit the event’s Facebook page for more info. Free admission and parking. Showcasing the many cultures of: China; India; Indonesia; Japan; Korea; Philippines; Taiwan; Thailand; and Vietnam. Food for purchase .Visit the event’s Facebook page for more info. From preparation to execution, examine the reasons behind each step, including proper jiggering, choosing the correct ingredients and using the right garnish to complement your cocktail. Visit the event’s ticket page for more info. This year’s Taste will feature 30 fantastic regional restaurants, wine and beer, dessert makers and catering services. Visit the event’s ticket page for more info. Come vibe out and eat some good vegan Caribbean home cooking – Hoaxx Tail, Rice and Peas, Jerk Chick’n, and more. Please bring a canned item, toiletries or non- perishable item (vegan of course) to donate to Helping Hands of Orlando. Visit the event’s Facebook page for more info. The admission includes all the gumbo you can eat, and the event benefits Youth FIshing Organizations. Visit the event’s Facebook page for more info. Enjoy a fun night of food, drinks, auction items and entertainment while raising funds for a great cause. Visit the event’s Facebook page for more info. Celebrating one year at the Fern Creek location, they will be offering BOGO’S all day on small and regular ice creams. Visit the event’s Facebook page for more info. From 11am to 8pm the store will be giving away some amazing gift baskets from the Apothecary department, local vendors will be sampling their products, and more. Visit the event’s Facebook page for more info. Join Chef Fabio as he demonstrates how to make savory, traditional Tuscan dishes. Visit Publix.com for more information. Enjoy 3 hours of all-you-can-eat Fresh Blue Crab & Snow Crabs with sausage, potatoes, & corn. Visit the event’s ticket page for more info. The evening features a menu tasting of their new gourmet burgers paired with local Kombucha makers like Orlando City Kombucha and more. Visit the event’s ticket page for more info. 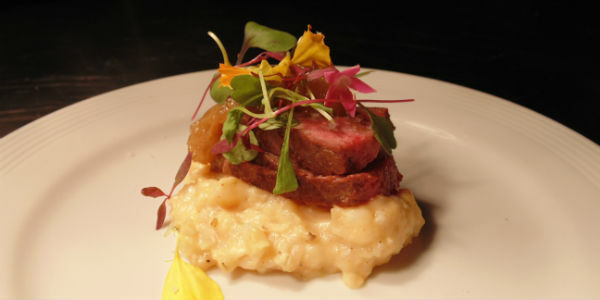 Tim’s Wine Market – Lake Mary / Sanford is hosting this dinner paired with sparkling wines. Visit the event’s Facebook page for more info. Free admission. Come and enjoy the best Latin party at Old Town every month at Latin Fiesta Nights, with authentic Latin food, drinks, prizes and free live music. Visit the event’s Facebook page for more info. Guests are in for an unforgettable dining experience as the restaurant’s “performing” chefs add a modern twist to traditional cooking techniques. This amazing 5-course culinary adventure features Wagyu beef, seafood and poultry. Park admission also required. Visit the event’s ticket page for more information. 921 by Norman Van Aken hosts Fisher Vineyards of Napa Valley, California, for a five-course tasting menu accompanied by six wines. Visit the event’s Facebook page for more info. Meet the winemaker, and taste 4 of his premium wines along with some bites. Visit the event’s Facebook page for more info. Enjoy a four-course pairing menu showcasing seasonal brews from some of their favorite local breweries. Visit the event’s ticket page for more information. Admission includes: Complimentary Cocktail, Cheese & Chocolate Fondues, Door Prizes, Silent Auction, Drink Specials and much more. The evening benefits Winnie Palmer Hospital for Women & Babies. Visit the event’s ticket page for more information. Dig into sweet & savory organic mini doughnuts paired perfectly with four organic brews (5 oz. sampler glasses). Visit OrlandoBrewing.com for more info. The evening features a 5 course dinner paired with 5 beers from Hourglass Brewery in Longwood. Visit the event’s ticket page for more information. Enjoy some German and Austrians wines, along with some German appetizers Visit the event’s Facebook page for more info. Sample food, beer, wine and cocktails by Thornton Park area merchants in a festive environment that includes live music. Visit the event’s ticket page for more info. Enjoy a 4-course dinner with wine pairings from Ricasoli Winery & Bibi Graetz. Visit the event’s Facebook page for more info. Free admission. This three-day fest offers up plenty of beer, along with authentic German food, entertainment, and more. Visit the event’s Facebook page for more info. There will be tastings of local and regional craft beers, food trucks, and more. The Fest benefits the Windermere Police Department Foundation, Inc and the Florida Brewers Guild. Visit the event’s ticket page for more info. Enjoy a 5-course mezcal pairing dinner featuring Del Maguey with education on the history of Oaxaca, Mexico and the distinguished process of Mezcal distillation and production. Visit the event’s ticket page for more information. From 6-8pm, Chef Rick Bayless will bring the warm, rustic flavors of Oaxaca to his very own Frontera Cocina. Enjoy a regional menu roll-out, your Frontera Cocina favorites, and handcrafted cocktails. Free to attend, just pay for what you order. Visit the event’s Facebook page for more info. Join in this monthly sandwich meet up where anyone that enjoys a good sandwich can meet and try a new place along with others. Free to attend, just pay for what you order. Visit the event’s Facebook page for more info. Opening at 7am, this new grocery will feature fresh produce, natural meats, bins of bulk foods and everyday food staples. Be one of the first 200 shoppers and you’ll receive a coupon for 20% OFF your entire purchase on grand opening day. Visit the event’s Facebook page for more info. This will be a 5-course dinner with wine pairings from around the globe. Visit the event’s ticket page for more info. Enjoy an evening of cooking and eating around the paella pit as Tapa Toro’s talented chefs guide you in creating some of their favorite recipes. Menu for this class is: Tuscan Kale Salad; Clams with Walnut Pesto; and Hand-Shaped Orecchiette Pasta with Pork Sausage. Visit tapatoro.restaurant for more information. Enjoy an unforgettable evening on the farm as the chefs from Grande Lakes Orlando (JW Marriott and Ritz-Carlton) host the city’s most talented chefs and restaurants for a collaborative dinner to bring awareness to sustainable agriculture. Visit the event’s ticket page for more info. Save 10% on your ticket with code LOCAL. Enjoy wines and beverages from around the world, food from the resorts many restaurants, and live entertainment. There are also food and beverage seminars for extra fees. It’s one of CSO’s favorite food events of the year! Visit swandolphinfoodandwineclassic.com for tickets and more information. Experience traditional and contemporary Latin American culture with live performances, authentic cuisine and children’s activities. Visit the event’s Facebook page for more info. Free admission. The event will include healthy living and eco-friendly exhibitors, speakers, and presentations; non-profits; fun and games for kids; dog and cat adoptions; restaurant booths; food preparation demonstrations, and live music and entertainment. Visit the event’s Facebook page for more info. This popular annual outdoor festival features Latin food for purchase, plus live music and more. Visit calleorange.com for more information. From 9:30am until 1:30pm, this lavish brunch will feature traditional and not-so-traditional items prepared by our award-winning Chefs. One glass of champagne or specialty mimosa will be included in the menu price, along with the option to upgrade to bottomless champagne and mimosas at the time of seating. Visit swandolphinfoodandwineclassic.com for tickets and more information. Chef /Owner Joe Rees from The Strand Restaurant will teach us how to make the comforts of warm, nourishing fall foods using his family recipes and fresh garden herbs. Visit the event’s ticket page for more information. Taste will feature more than 20 Sanford area restaurants to sample. Visit taste-of-sanford.com for tickets and more information. Pairings will include four, 5 oz. beers perfectly paired with four Halloween candies from 3-9pm. Visit OrlandoBrewing.com for more info. There may be events added to the month as it progresses, so keep an eye on our events calendar for new postings. Michelle is the owner and editor of CitySurfing Orlando. She also owns Zengrrl.com, is a freelance writer specializing in travel and entertainment, and has authored/co-authored four guidebooks on Orlando and Florida. She lives in Orlando near Disney, and hears Magic Kingdom fireworks every night.